A union between Moldova and Romania: On the cards? A recently-formed group of Romanian MPs is promoting the idea of re-unification between Romania and the Republic of Moldova. Now with 41 MPs in Bucharest, the group - 'Friends of the Union'- aims to increase economic and cultural ties between the two countries. However the most controversial proposal - favoured by some of its MPs - is for Romania to make an 'offer’ to Moldova to reunify. “We have to work with Moldova, help them find Europe and European values, if unity will be a solution accepted by EU and NATO, we will be glad to do it,” says Ovidiu Raetchi, a National Liberal Party (PNL) MP in the Romanian parliament. The issue opens historical wounds and current ones, including the war in Ukraine and Moldova’s frozen conflict zone of Transnistria, a breakaway republic in the east of the country - and could widen the schism between Russia and the EU. It comes at a tense moment for Moldova, which is suffering from an economic slump, plummeting value in its currency and rampant corruption. Leading Romanian politicians declare their deep support for a ‘union’, but have not put these words into action. Meanwhile pro-unionist movements on both sides of the border are promoting the union as an answer to Moldova’s problems. “Moldova does not have a chance of survival and the only solution to leave this crisis is a union with Romania,” argues Dinu Plangau, president of pro-unionist activist group, the Youth of Moldova. Activists cite Romania as an example of economic and political success - due to its steady economic growth, EU and NATO membership and radical programme of anti-corruption, where hundreds of politicians face jail or arrest. 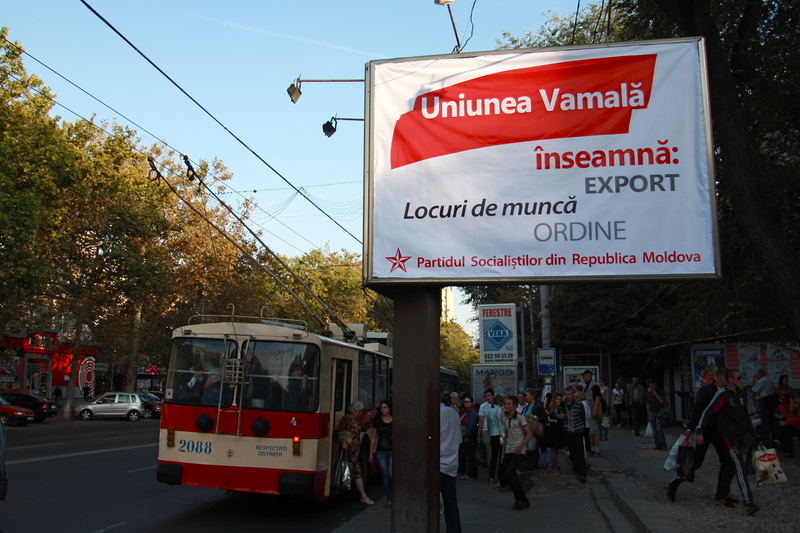 But in the Moldovan capital of Chisinau, no parties in parliament have campaigned on a pro-Unionist line. Although Moldovans favour EU entry, they are cooler towards NATO membership. 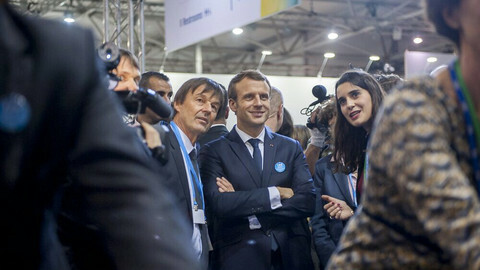 After last year’s election, the political colours of the country are changing from Liberal and pro-European parties, towards the Communists and Socialists, which are closer to Russia. Pro-Russian parties have managed to cast themselves as a force for change for many in the disappointed electorate. The Socialist Party has the largest number of seats in the Moldovan parliament, while an uneasy coalition of Liberals and Communists runs the Government. Meanwhile only between 7.5 to 15 percent of Moldovans favour unity with Romania - a figure which has remained the same for the past decade. Russia and Romania have fought over land in today’s Moldova for the last two hundred years, since the Ottoman Empire ceded control over the vassal state of Moldavia - including land west and east of today’s border with Romania. So both countries claim influence over Chisinau. 'Friends of the Union’ has two aims. 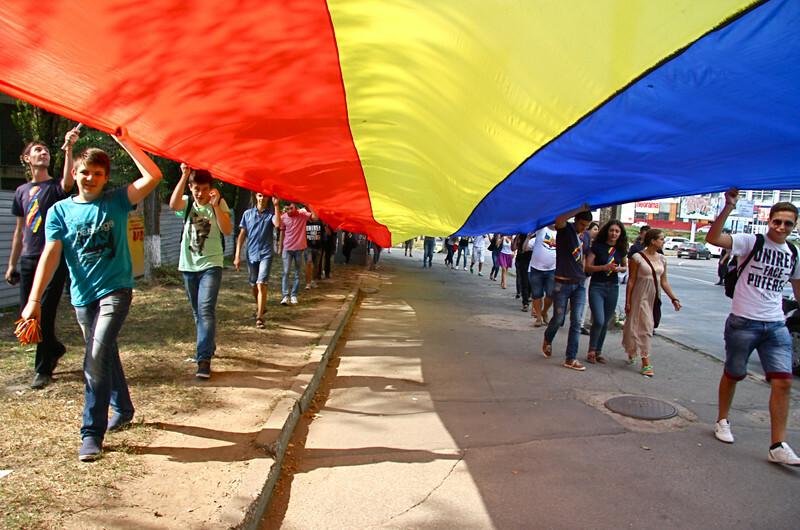 Alongside seeing whether such a union is possible, the group is promoting the soft politics of building economic, social and cultural relations between Romania and Moldova - greater transport links, support for Moldova’s education system, supplying study grants in Romania for Moldovan students and increasing political dialogue. The idea of reunification with Moldova is manipulated by Romanian leaders prior to elections as a short-term vote-winning tactic. A union is supported by 76 percent of Romanians, according to an IRES poll in 2013 - and no major candidate in Romania’s presidential elections last year risked ruling it out. Traian Basescu, a former president, called it “the project of my soul”. This was echoed by prime minister Victor Ponta. “My commitment is that together we make the second great union of Romania," he said last year. Privately EU diplomats express worries about such revanchist chatter, but the statements do not cause too much alarm, because few in Brussels and Washington take what Romanian politicians say seriously. Since 2010 Romania has increased its support for Moldova - particularly targeting the next generation of voters. 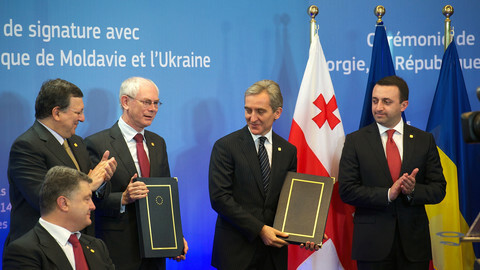 At that time Romania released €100 million in aid to Moldova to support education and infrastructure. Moldovan students in Romania enjoy special privileges and last year Ponta donated 100 micro-buses to schools to Moldova. In the last ten years the numbers of Moldovans with access to Romanian passports has exploded - enfranchising tens of thousands of new voters. “With each new election, more Moldovans with Romanian passports vote in Romanian elections - given how close some Romanian elections have been, suddenly there is a less theoretical interest in Moldova and a more concrete interest [from Romanian parties],” says Popescu. However, there is no boisterous talk of unification from new Romanian President Klaus Iohannis. Last year, while still mayor of the Transylvanian city of Sibiu, he argued for a "slow" move towards a union noting that it was not a national goal. But he has not ruled out the prospect. Actiunea 2012 (Action 2012) is an umbrella group of 30 pro-unionist groups from Romania, Moldova, Switzerland, France, Italy and the US who want Romania to make an offer to Moldova for reunification in 2016. 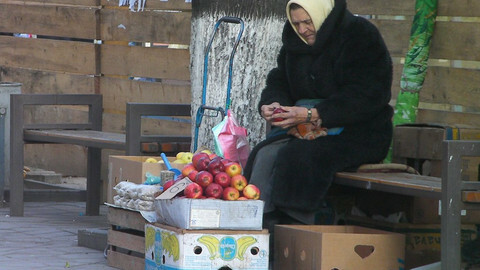 “Now Moldova is confronted with an economic crisis which is catastrophic and the single thing which can save the republic of Moldova is a union with Romania,” says vice president of Actiunea 2012, Iulia Modiga. Next year there will be parliamentary elections in Romania. Although Moldovan reunification does not top the concerns of the average Romanian, voters are more likely to be amenable to candidates who express pro-unionist tendencies. At a theoretical level, activists and some politicians are calling for referenda on the union to happen in March 2018 in Romania and Moldova. This date is politically loaded - this is a century on from the union of parts of today’s Moldova and Romania. But historical precedents become tricky when it comes to which pieces of land could join Romania. Visitors to Bucharest are confronted by graffiti and stickers sprayed across the banks of its canals, abandoned buildings and toilet walls of its bars, declaring ‘Bessarabia is Romania’ - referring to the zone which was part of Romania between the first and second world wars. Yet ‘Bessarabia’ includes areas north and south of today’s Moldova, which are now in Ukraine. Bessarabia also excludes the majority of Transnistria, an unrecognised Republic in the east of Moldova, which is allied to Moscow and operates a breakaway state with its own currency. Romanian politicians often talk about a reunification with Bessarabia - yet when activists and MPs are pushed on this, they claim they have no designs on Ukraine’s land. 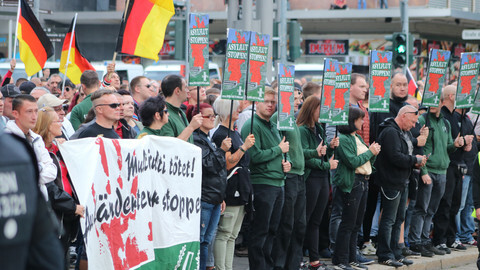 Although activists from Actiunea 2012 want to also unify with Transnistria, there is no historical precedent for the majority of this territory to be part of Romania. Transnistria now hosts Russia’s 14th Army and a balanced mix of Russians, Moldovans and Ukrainians. The majority of Transnistrians remain pro-Russian and sceptical of Romania’s intentions - something Russian opponents say is due to biased pro-Moscow media. In any case the view on Tiraspol's streets is rather sceptical about Romania. 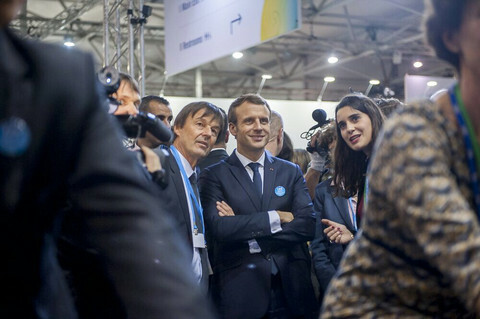 Critics argue that beginning expansionist talk at a time when the EU is trying to calm nationalistic tendencies among its member states may not be wise. It could exacerbate tensions in a region stricken with disaster on political, military and economic fronts. “We know it’s a sensitive moment now to start this unity friendship because of the Ukraine situation,” says Raetchi. Another major concern would be the geopolitical implications of such an approach towards a union - which is shorthand for ‘this would annoy Russia a lot’. But a referendum in Chisinau looks unlikely. “There is rising disappointment with pro-EU political parties in Moldova, not because the parties are pro-EU, but because they haven’t delivered on fighting corruption,” says Nicu Popescu. The Russian Ministry of Foreign Affairs did not return an invitation to comment on the issue. Its Moldovan counterpart also chose not to enter the debate. It said it did not have the “competence” to react to the inception of new unionist group in Bucharest’s parliament. 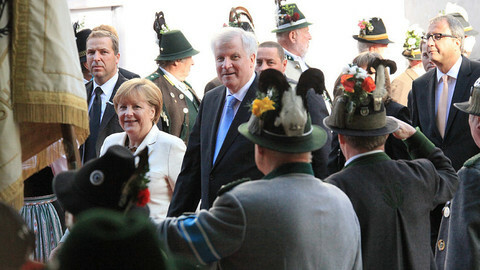 Romania's election of an ethnic German is being compared to America's election of a black president. 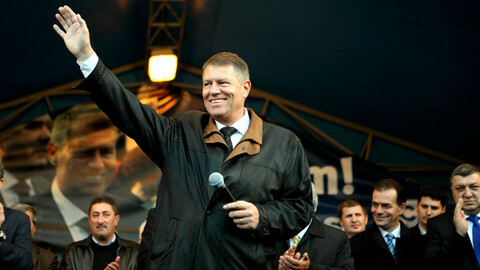 But who is Iohannis and what does he mean for Romania and the region?